NJ Celebrity Limo ExperienceThere are some methods of transportation in New Jersey that you can make use of. Limousines, however, are the optimum alternative. If you think that you can't go around NJ with the use of limousine because they are too expensive, then you are wrong. 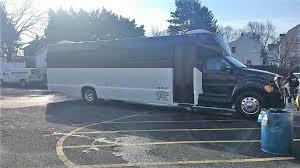 There are limousines that you can hire that are affordable for everybody.If you are into a vacation with your loved ones, you will definitely enjoy your time with your trip in NJ with the help of the Ultimate Party Bus and Limo. Defin... read more. 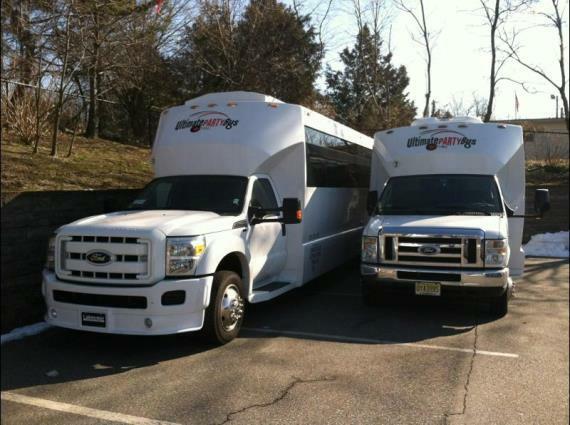 Hacksensack NJ Wedding Party BusPlanning for the transportation of your guest to and from a New Jersey wedding can be a daunting task. However, you can make it simpler maybe by hiring a reliable party bus service provider. Nevertheless, you should remember that the effectiveness of your transportation will be determined by the choices you are going to make when selecting the transportation service provider that you are going to pick. If you prefer executive transportation standards for your wedding, U... read more. Amazing New Jersey Limousine FleetWe all enjoy having a great time, but this should not include obliviously driving around in a nice car or limousine, while taking several glasses of your favorite drinks. Fun also means and getting to the venue and back safely. Unfortunately, it's hard to do many fun things and and still be safe on the roads. That's why Ultimate Party Bus and Limo has come up with an Amazing New Jersey Limousine Fleet. Their goal is to keep you happy, safe, and make sure your pa... read more. Whether you are traveling for a business trip in or around Verona New Jersey, or for just a night out, your traveling experience makes much difference. Even if you are an experienced traveler, the hassle of traveling to and from a venue cannot be underrated. Things happen randomly, and they might be a cause of extra time, extra money, and worries. Especially if you are traveling around New Jersey, renting a car and traveling alone can be unfortunate. 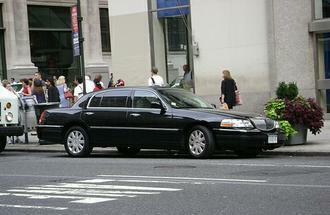 The ground transportation offered by limousine profession... read more.